I'm heading off on a vacation on Saturday for two weeks. I've been far too busy to arrange guest posts or anything, so my blog posts are going to be very sporadic over the next two weeks. I have some draft posts with photos uploaded, so if I find time after the kiddos go to sleep and we are in the hotel room, then I'll type so words to go with the photos. But if you notice me being very short and sharp, that will be the reason why. 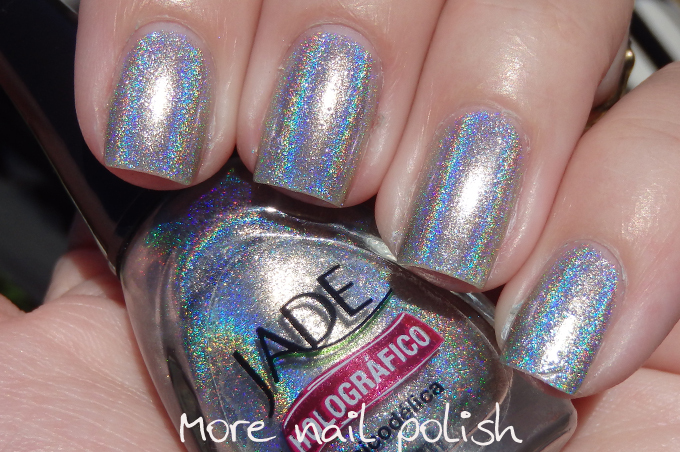 When I recently did my swatch comparison of all my silver holos, I discovered how awesome Jade Psicodelica was when compared to the other holos. 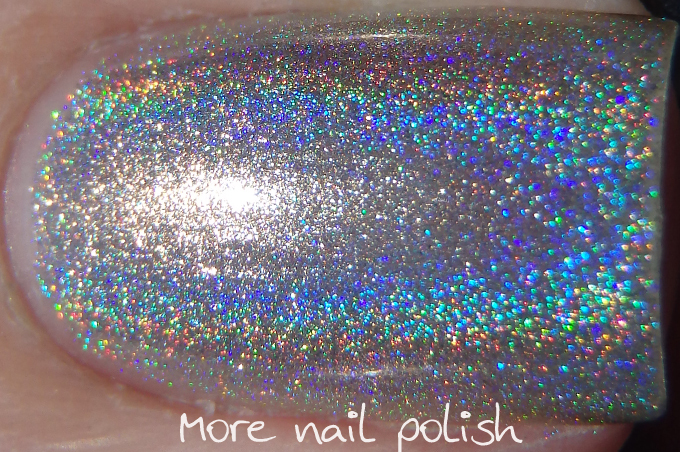 So I decided to search my blog for my swatch photos and blog post about the polish. 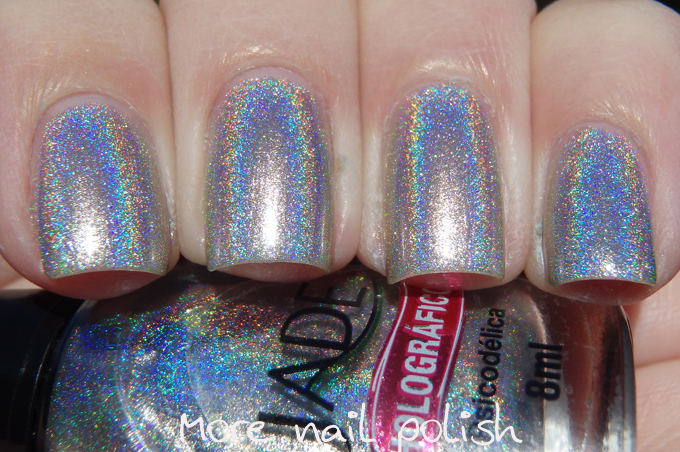 That's when I actually realised that this amazing holo was still untried for me! WHAT! Naturally I put it on immediately. I actually thought I hit publish on this last night. I checked my blog this morning and no post. Whoops. 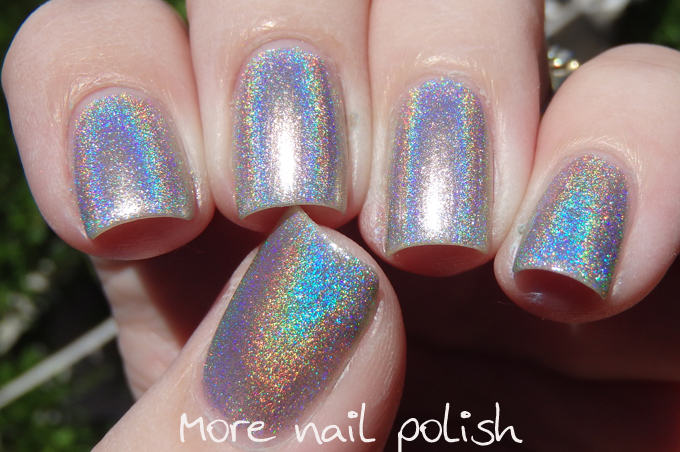 What a stunning holographic! Have a lovely well earned holiday. Beautiful! I have the ''Delírio Rosa''! 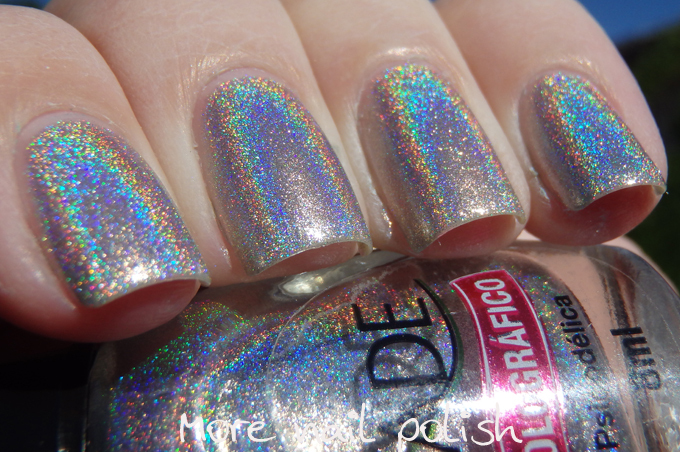 Nice to see a brazilian nail polish here! I'm from Brazil! Have a nice weekend! oowwnnn! 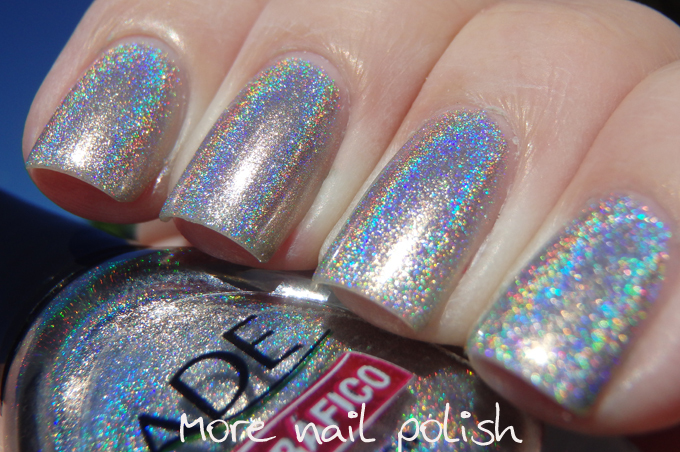 How wonderful to see our Jade here in your blog, in your nails. I have all the glass and love so much. Kisses! !